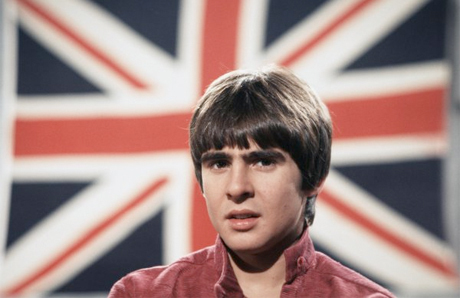 The Monkees frontman Davy Jones died this morning (February 29) after suffering a heart attack in his Florida home. According to TMZ, an official from the medical examiner's office confirmed that the singer had passed away at Martin Memorial Hospital in Stuart, FL. He was 66 years old. Jones joined the Monkees in 1965, starring in their eponymous TV show from 1966 to 1968 and recorded a number of albums with the group. While initially concocted by producers as a made-for-TV knockoff of the Beatles, the group quickly found success and managed to get more control over their career, from penning more original tunes to the production of their cult favourite, R-rated 1968 film Head. Cast as the British heartthrob of the troupe, the England-born Jones fronted a number of the act's memorable hits, including "Daydream Believer" and "I Wanna Be Free." While the group broke up in 1971, Jones occasionally got together with bandmates Peter Tork and Mickey Dolenz (and every so often, Michael Nesmith) for reunion tours. Jones's last performance was February 19 in Oklahoma. You can see some footage of the singer performing "Daydream Believer" the night before at a gig at the B.B. King Blues Club in New York City down below.